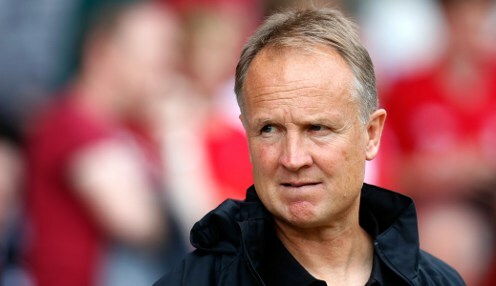 Former Bournemouth, Doncaster Rovers, Nottingham Forest and Bristol City boss Sean O'Driscoll has been named as the new assistant manager to Brendan Rodgers at Liverpool. The 58-year-old succeeds Colin Pascoe as the number two to Rodgers, while Academy boss Pep Lijnders takes on a newly-created role as first-team development coach. I believe the entire first-team set-up will benefit and I am extremely positive and excited about what we can achieve. The changes came about following the exits of both Pascoe and Mike Marsh following the end of last season, with the Reds having finished in sixth place in the Premier League at the end of a disappointing campaign. However, Rodgers believes that the vastly-experienced O'Driscoll will be able to bring about an improvement on the field for the Reds next term. He told the club's official website: "I have made these appointments because I want to take us in a new technical direction, in terms of coaching. "I believe the entire first-team set-up will benefit and I am extremely positive and excited about what we can achieve, as a group, going forward. "My admiration for Sean, as a professional, is well-documented. He is someone with a clear vision and philosophy and has proved he has the ability to transfer that knowledge, through his coaching, to the players. "I am looking forward to working with him and also learning from his experiences and gaining valuable knowledge from his expertise." The Merseysiders get their new league campaign underway with a trip to Stoke City on Sunday 9th August, with Liverpool 1/1 to win that game, 1/1 to secure a draw and 1/1 to go on and finish in the top four.